A stag tie with stags on a woodland background. 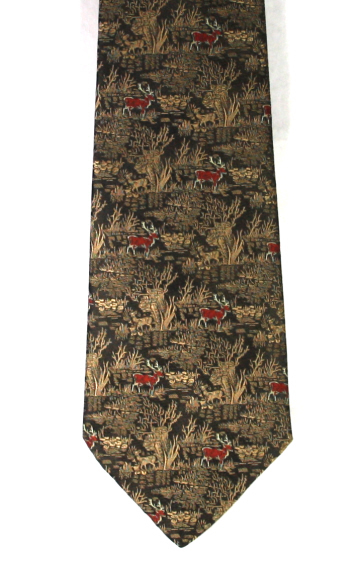 This embroidered tie is available in five colours. One of our 'country animal ties' range. A magnificent stag necktie. 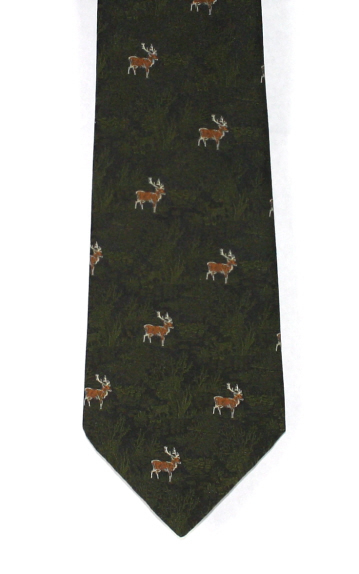 A stags head motif on an dark muted green tie made from a combination of silk and wool. The stag motif is stitched not printed and contains plenty of detail.